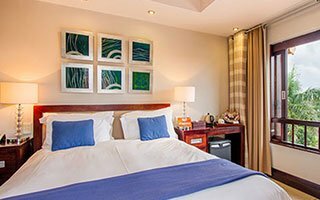 San Lameer Resort Hotel and Spa, is an intimate hotel offering 40 rooms and suites elegantly decorated in contemporary Indonesian style. 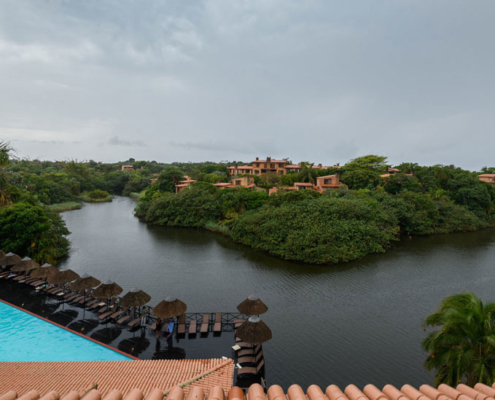 In this exclusive and secure beach and golf coastal reserve, guests are surrounded by beauty, luxury and tranquillity. 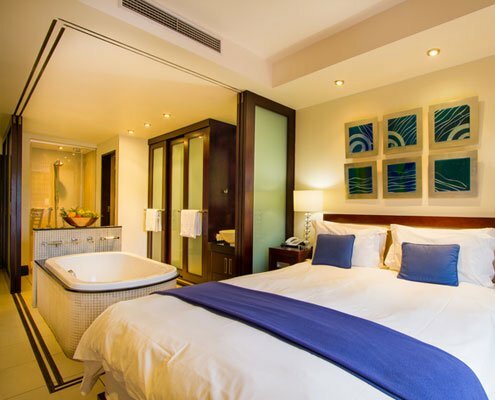 Choose from our available Classic rooms, Deluxe rooms, Executive rooms or Suites. 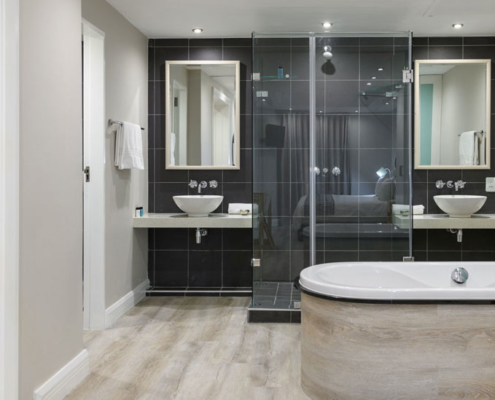 All the rooms are newly refurbished. 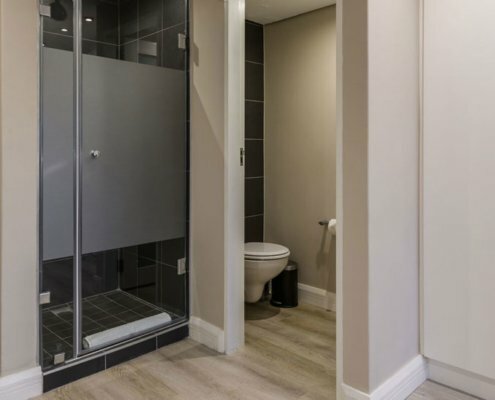 The rooms have an open plan, en-suite bathrooms, fully equipped with a shower. 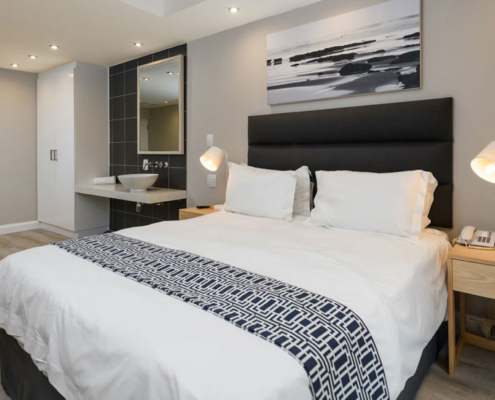 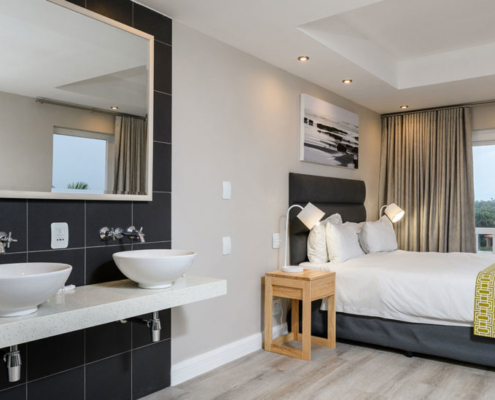 All rooms have a flat screen television with selected DSTV channels, are fully air-conditioned and have a mini-bar fridge which we will happily stock upon your request. 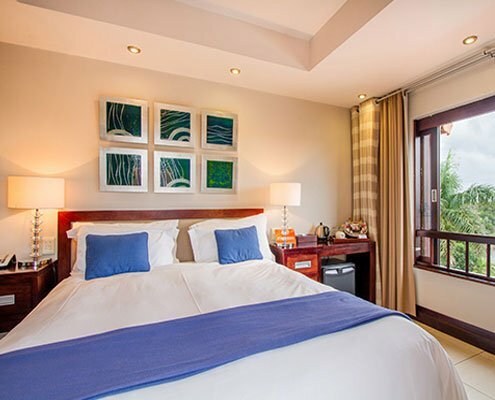 Our Deluxe bedrooms are located on the upper levels of the hotel, featuring stunning views of the lagoon and also the hotel swimming pool and deck. 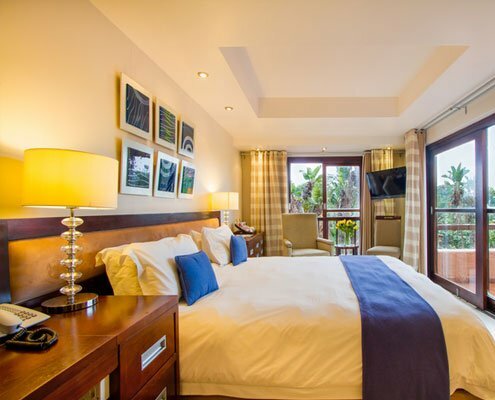 Most of these bedrooms have balconies with beautiful views. 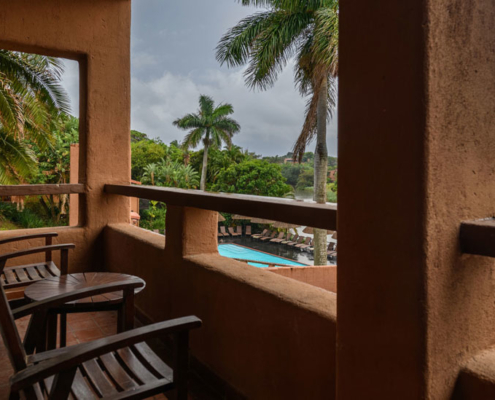 Enjoy sitting outside, having your morning coffee and enjoying the sunrise. 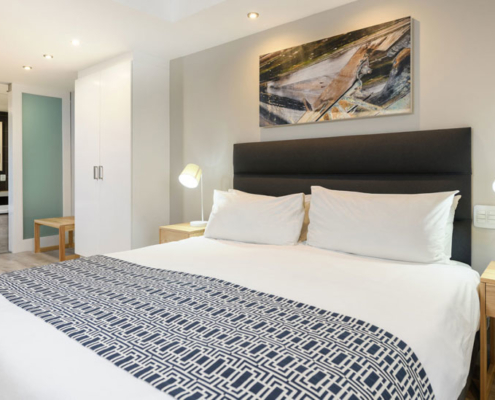 As an additional feature, some of these bedrooms are also inter-leading, for families requiring separate bedrooms. 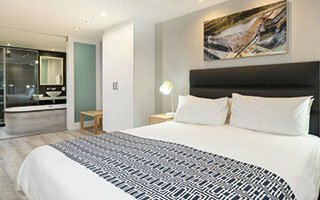 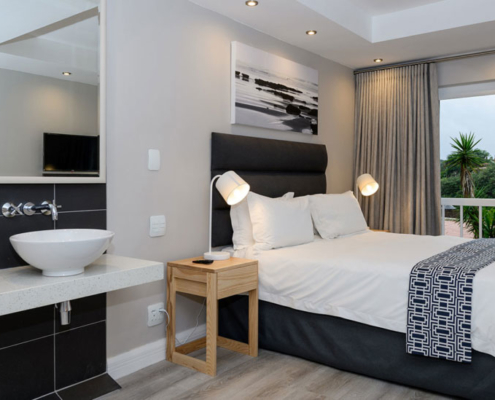 PLEASE NOTE: A handful of these rooms have been refurbished (as per the beige-schemed decor) and the remaining, unrefurbished rooms (blue decor), will be refurbished by 13 June 2019. 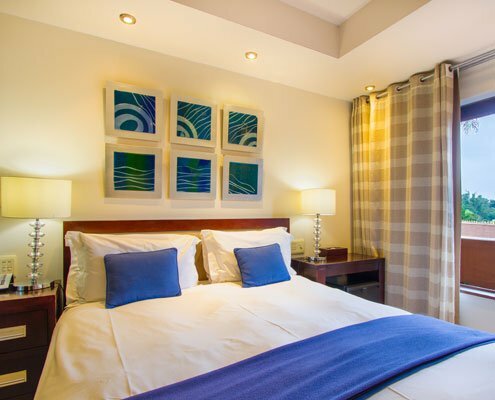 Our Executive bedrooms are larger in size than our Deluxe and Classic bedrooms. 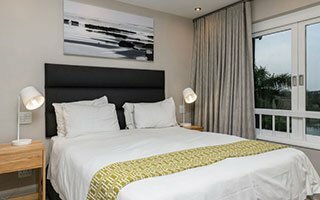 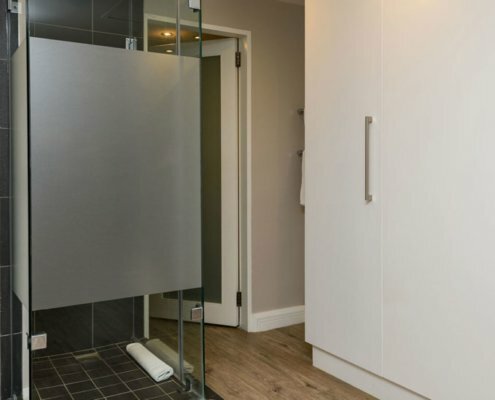 We have a total of four Executive bedrooms which are all unique in terms of size and layout as they are all located in different parts of the building. 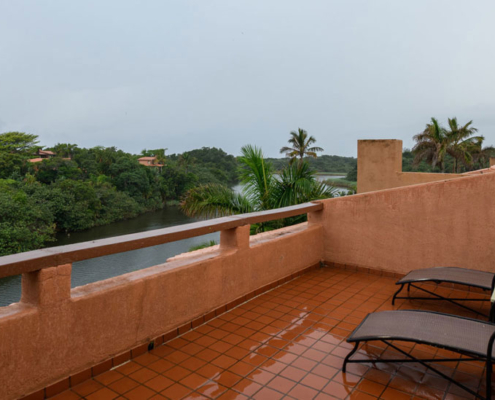 These rooms all have larger balconies leading out to the stunning views of the lagoon and surrounding areas. 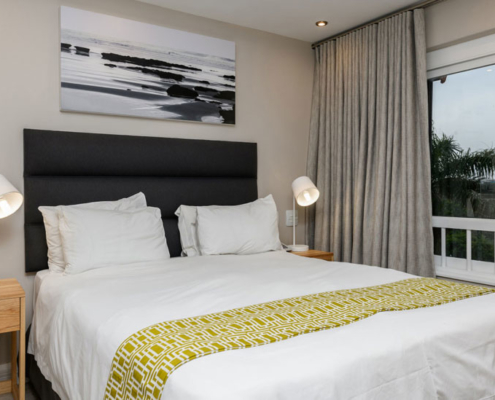 The San Lameer Hotel has two beautiful suites located on the North side of the building, overlooking the lagoon and pool deck. 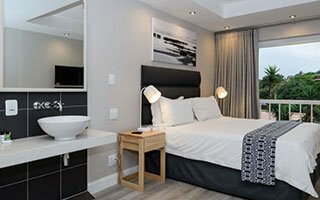 Our Suites both have King size beds leading into an open, plan en-suite bathroom, equipped with bathtub and a large separate shower. 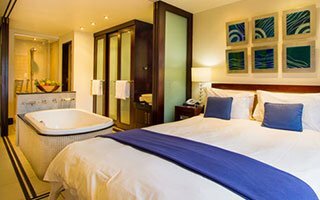 These rooms also have separate living area. 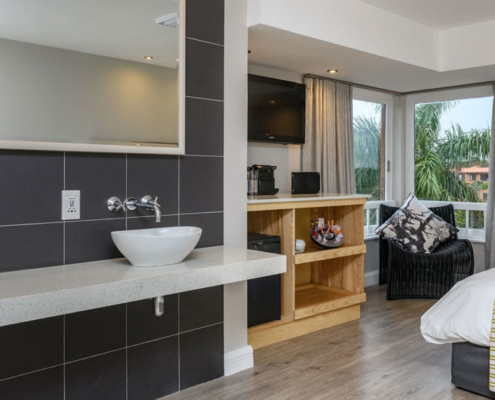 Each suite has two flat screen televisions with selected DSTV channels, are fully air conditioned and have a mini-bar fridge which we will happily stock upon your request. 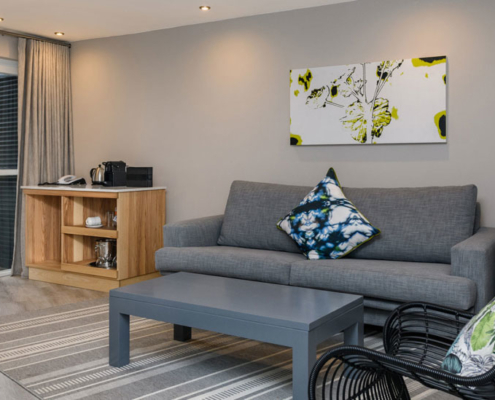 These suites can accommodate a family and a sleeper couch can be added in the lounge area. 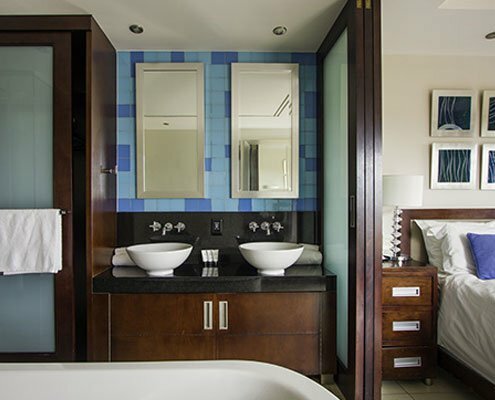 Our Suites both have King size beds leading into an open, plan en-suite bathroom, equipped with bathtub and a large separate shower. 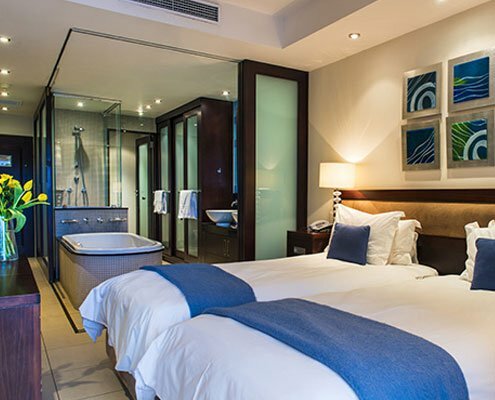 These rooms also have a separate living area. 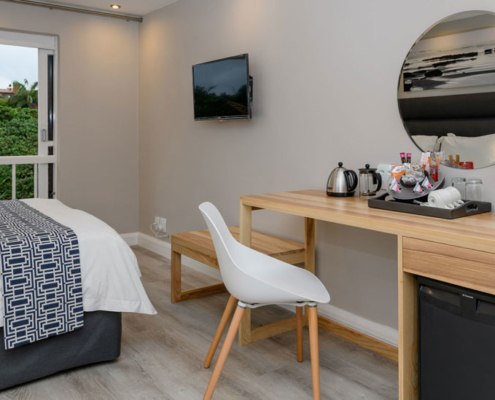 Each suite has two flat screen televisions with selected DSTV channels, are fully air-conditioned and have a mini-bar fridge which we will happily stock upon your request. 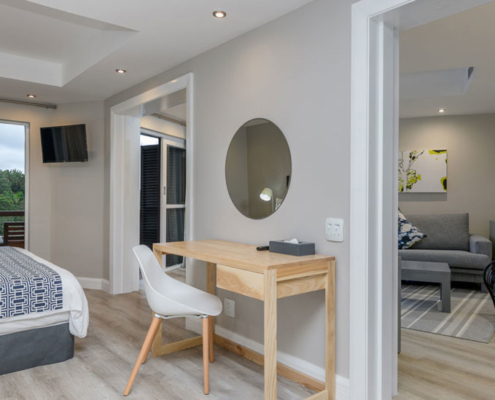 These suites can accommodate a family and a sleeper couch can be added in the lounge area.